J. Paul ("Little Paul") Getty III, the grandson of Getty Oil founder J. Paul Getty, may have been cursed by money and privilege from the moment he was born. Falling in with the wrong people and practically abandoned by his famous family, Getty was a child of his international jet-set era, moving from Marrakesh to Rome, nightclubs to well-appointed drug dens. His high-profile kidnapping defined the decade - and was permanently memorable for the ear that was mailed to his mother as evidence of the kidnappers' intentions. This is an excellent book, with many new insights, and a gripping narrative. I'm familiar with the other books (none of them very recent) about these events, and this one is well worth having too. Well written, and well read. The author puts these events into their historical context very well. 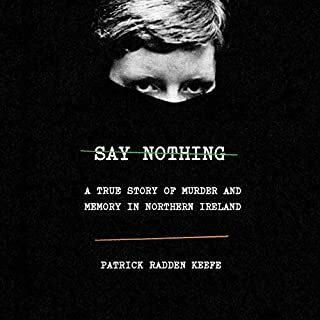 He offers a clear, well supported assessment of many controverted points, including whether this was really a case of prolonged Stockholm Syndrome, the quality of Ms Hearst's legal representation, whether she might have been acquitted with different lawyers, how she procured first commutation and then a pardon, and just how guilty she really was of the crimes she was convicted of, and the murder for which she, unlike other SLA members at the Crocker Nat'l Bank, was never prosecuted. One of the best of the year. As a teenager, living in the middle of the country, I followed the story of Patty Hearst with curiosity and sympathy for Patty. As an adult, who has now lived half my life in the Bay Area, I frequently encounter people and legacies from the unsettling 60's and 70's. I selected this book because I thought it would deepen my understanding of the events and the time which have long held my interest. While I know much more about the chronology and details of the SLA I can't say I have a better understanding of what brought the radicals together. Toobin does not psych-analyze the characters and sometimes I wish he would have because, even though I am familiar with the time and setting, I find myself thinking, "WTF were these people thinking?". Ultimately I had no empathy for the unlikable and bumbling members of the SLA . 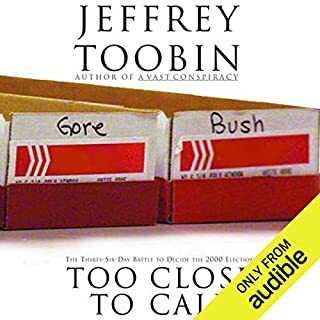 There is of bay area trivia in this nicely paced story and it was worth my time even though Toobin does not uncover any themes which added to my understanding of the events that fascinated me so long ago. 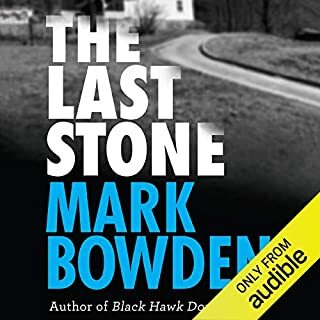 Best audio book of the year! This was an extremely interesting, detailed, suspenseful, insightful recounting of an incredible crazy story. Brought back lots of memories of the time. No fiction can match the fascination of this non-fiction saga. The narration was excellent. I really enjoyed it. I found this book absolutely riveting from beginning to end. 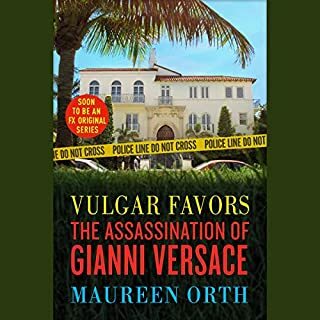 The author researched the story so thoroughly and with such an observer's eye instead of prejudice that the narrative unfolded with even more emotional impact than if told with attitude. I only have vague memories of the times, but Mr. Toobin's intensive and up close study of Patty Hearst and the times in which she lived made it all come to life. No one could have made up this story or the cast of characters, but the author presents it in all its weirdness without apology. The entire story is fascinating and I especially enjoyed the epilogue about what happened to the people involved. Paul Michael did a very good job of narrating (except for pronouncing "government" as "gov-ment". Picky, I know). One of the best books of its kind I have ever read or listened to. If you could sum up American Heiress in three words, what would they be? Even if you never heard of Patty Hearst it is still a great read!!! How the family tried to get her out of serious trouble! 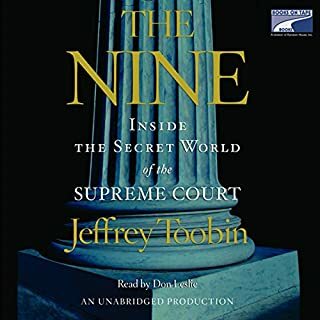 This is a very well written and read book (although one must chuckle when Mr. Toobin wryly comments on a participants lust for attention) and a story I didn't fully understand. I now appreciate why my parents, and all their friends, we're so incensed when President Clinton included Patti Hearst in his notorious pardon spree. If you want to know the full and true story of Patti Hearst this read will be well worth your time. 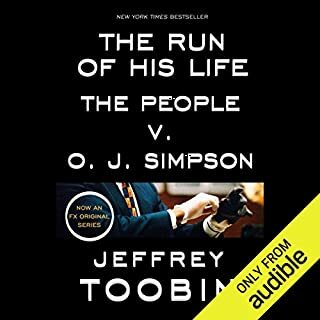 Only reason I didn't give it 5 stars was the condescending tone of Mr. Toobin when describing certain actors (although, to be perfectly honest, with Mr. Francis Lee Bailey he hit it right on the head), what I perceive as his hypocrisy for nettling some for being attention hounds (just once can there be a legal case Mr. Toobin doesn't give his opinion on?) and the writing style of inferring something but not fully telling you the whole detail until later. But overall it was was well written, well performed and in all honesty, shows the dishonest chameleon that is Patti Hearst. I almost didn't buy this book, because I thought (correctly, as it happens) I knew everything about Patty Hearst already. I read Hearst's book, I saw both movies, I saw it spoofed on Drunk History, I heard Dave Anthony tell it on the Dollop (twice- SLA episode and SWAT episode), I read Days of Rage, I mean... enough already. But then, I thought: Hey! I knew a lot about O.J. and I still liked that book, right? So, I bought America's Heiress, imagining I'd get the same fresh pithy insightful top-notch journalistic prose. Instead, I got the 400 page wikipedia entry I was afraid I'd get. There is nothing at all new here, and no insight. Okay - Toobin thinks Stockholm syndrome is a joke, and that Patty made bad, armed, criminal decisions uncoerced, He is sick to death of her lame "I got kidnapped, locked in a closet, and raped" excuse. Huh, thats..... nothing. I don't care enough about it to decide if I agree with him or not because it's a non-issue at this point. Where is the relevance? O.J. was good because Toobin nails the fancy lawyers in the story. Why shouldn't he? They are of his class and his profession. He's writing what he knows. Not so the scruffy weirdos of the SLA. Toobin gives them all the human depth of a cage full of badgers. It's hard for me not to see a touch of class-blindness there. It also means we're in the wiki-world of here's what happened, step by step. I found it pointless. 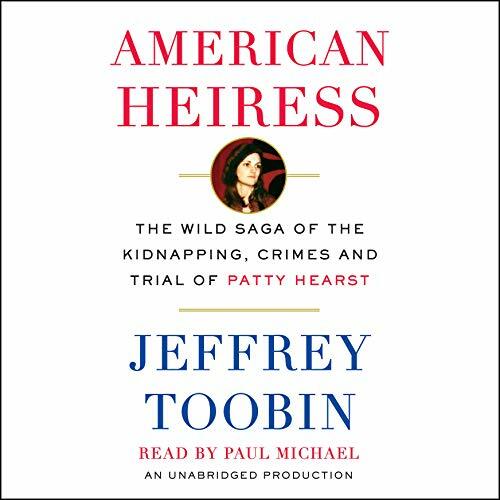 So here's my last beef: Toobin concludes by criticizing the fact that Hearst got a commuted sentence and a pardon based on her wealth and position. Well... Does Jeffrey Toobin honestly think his personal success has nothing to do with his privileged background? Because I think having a famous network newscaster mom and news producer dad might have had something to do with the success he now enjoys. Somewhere there's a poor unconnected writer in Nowheresville not getting her 400 page historical rehash published, thanks to people like him. Oh - PS: If you don't know anything about the story, go ahead, cause it's a good one. I liked the book and would recommend it. She was a tough one alright. Author writes a compelling story. You don't want to take your headphones off, which sounds like a stupid phrase. Let's say you don't want to put book down.